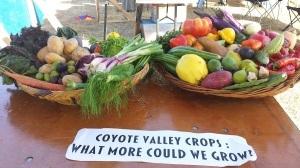 On September 27, 2014, Discover Coyote Valley (DCV) was a partner as part of the Open Space Authority’s annual Coyote Valley Family Harvest Feast. 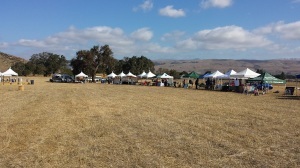 The event took place on the Open Space Authority’s new Coyote Valley Open Space Preserve, at 550 Palm Avenue in Morgan Hill, California, which will be soon open to the public. There was food, music, families and lots of fun! Featured as part of the Coyote valley Food Fair, DCV had a local chili tasting tent. With over 65 kinds of chili peppers grown locally, DCV invited the public to taste the Persian Pepper Spread and the Tomatillo Chili pepper salsa – delicious! 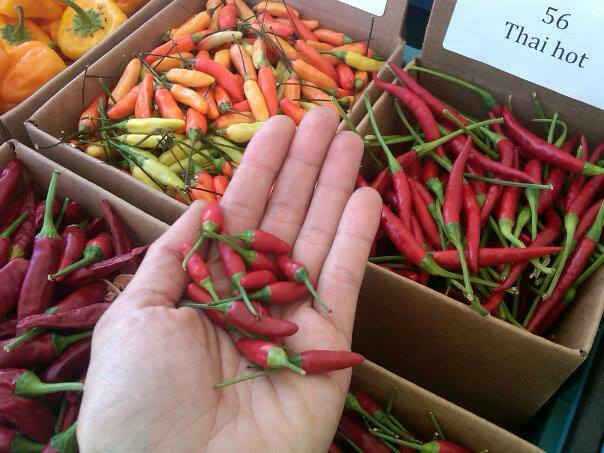 So many members of the public wanted to try the chili peppers and asked about where they could buy them locally. 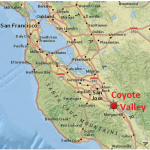 We encourage you all to go to write to us (info@discovercoyotevalley.org) and let us know if you are interested. Adorable- and spicy!- thai ornamental chiles. 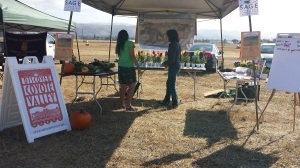 Event attendees learned about the farmers and crops of the Coyote Valley. Chinese eggplant, heirloom tomatoes, bitter melon, quince, cranberry beans, plouts, gooseberries, melons, baby kale, bochoy and so much more. 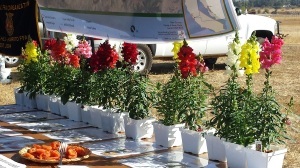 Mario Silva from Coyote Valley Nursery had his pansies and snapdragons on display adding color and vibrancy to our display; he certainly can do the same for your outdoor fall landscaping. Coyote Valley Nursery provides premium bedding plants to retailers & landscape professionals all around the San Francisco Bay Area. As the centerpiece of the display was an aerial geographic map of the Coyote Valley from San Jose to Morgan Hill highlighting local farmers, farm stands and nurseries. Farmer biographies were presented to show how many local farmers and horticulturalists there right here in our backyards! 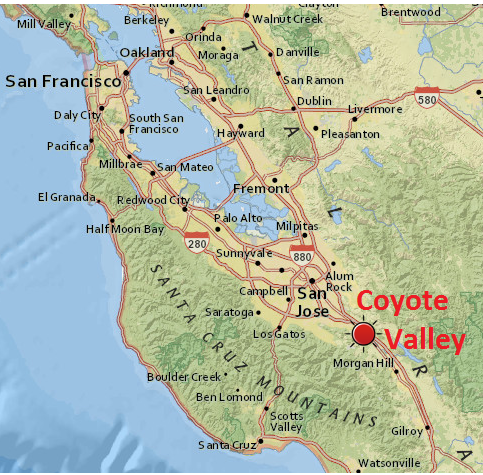 On the left- what is currently growing in the Coyote Valley. 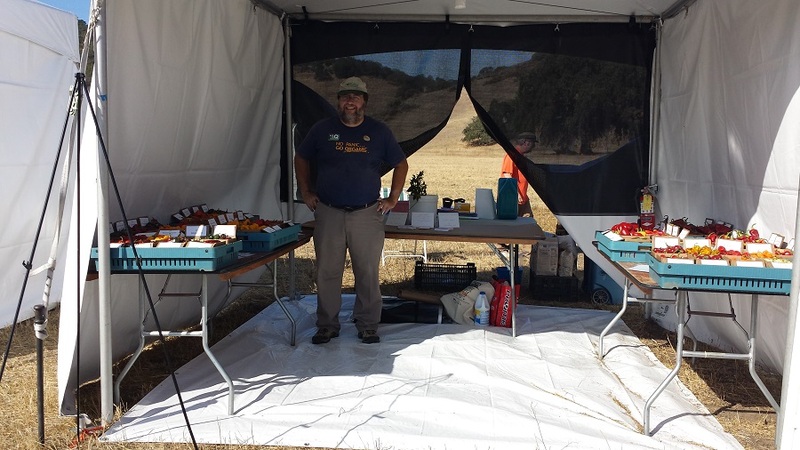 Featured on the right demonstrates the variety of produce that can be grown to locally feed the diverse populations of San Jose and Santa Clara County. The day was filled with opportunities to learn more about what is available to us and to know that we can purchase locally grown food and plants. If you want to know more, ask us! 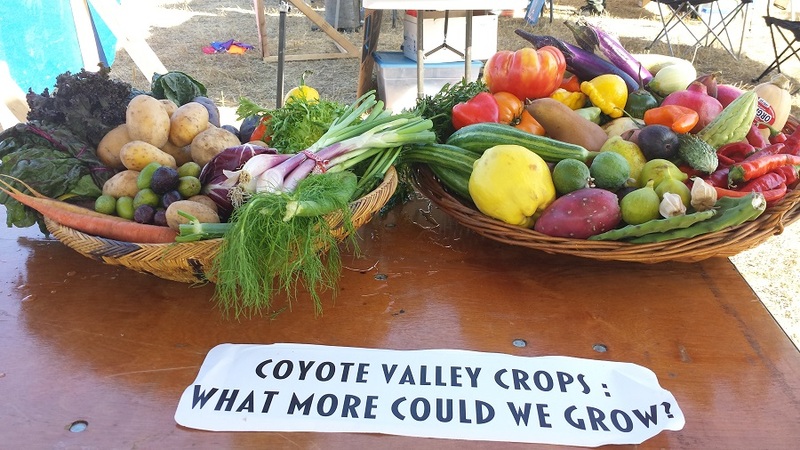 DCV encourages you to continue to explore our website for farms and produce in the area, and to keep in touch about future events in the Coyote Valley. Flowers from Coyote Valley Nursery and dried apricots from Andy’s Orchard.